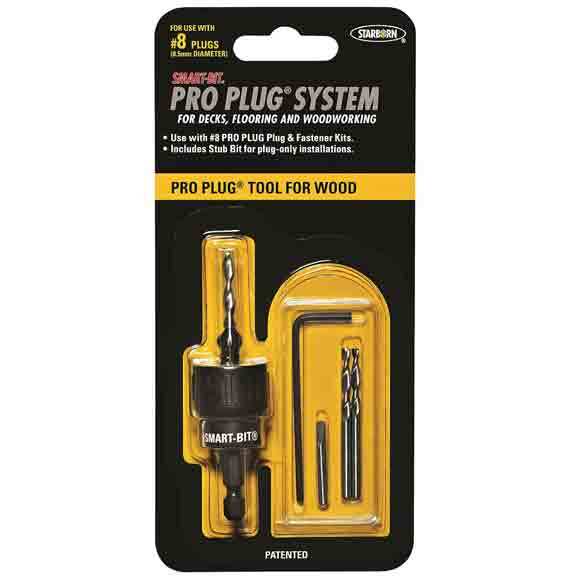 The Pro Plug Tool is needed for installation and is not included in the kit. Add it on below. 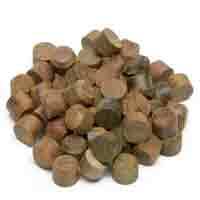 It is included in the starter kit. The PRO PLUG™ System makes plugging fast & easy, cutting installation time in half! 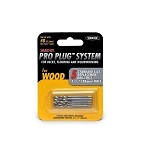 The PRO PLUG™ Tool creates a screw hole and countersink portion that is perfectly matched to the included wood plugs. They're the perfect fit! 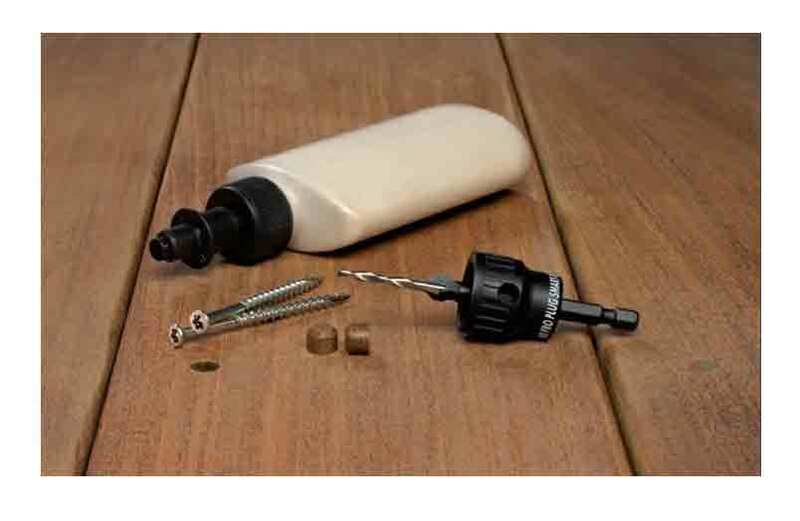 The PRO PLUG™ Glue Nozzle coats the sides of the hole, which is where the glue is needed for holding power. Little or no glue is deposited on the bottom of the hole where excess glue can create a hydraulic lock preventing plug insertion. PRO PLUG™ Plugs combine the best of flared and straight walled plug design. The unique chamfer design with reduced flare angle offers easy insertion and an extremely tight fit as the plug compresses around the top of the hole. It allows for complete insertion of the plug without sawing or chiseling. 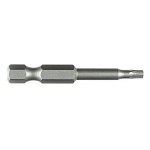 Star Recess Driver Bits - T20 Star Drive Power Bit 2"